A team of young New York City Slam Poets finds its voice as it competes for the National Championship during the summer of 2016. The upstart Bowery Slam Poetry Team, made up of five African-American, Afro-Hispanic and queer poets in their 20s, prepares for the national championships. Mentored by a demanding coach who encourages them to push past their personal boundaries and write from a place of vulnerability, pain and honesty, the poets break down, break through and compose their best work ever. Timely and difficult, their spoken word slays—but will these soul-searching pieces about police violence and the whitewashing of Black culture be able to compete against choreographed crowd-pleasers for the title? Will opting to make a statement instead of a show spell their defeat? An emotional and inspiring film that gives insightful commentary on race, gender, identity and sexual politics in America today, Don't Be Nice is both an absorbing competition doc and a vital writer's workshop that proves once and for all that winning hearts and minds is the ultimate prize. "[T]he poets slam truth to power and demand audiences to wake up…this film will take you to places you never expected." "[F]ull of ideas, riffs on current events and so much tension you'll occasionally be holding your breath." This week Don’t Be Nice is in Savannah, GA at the 21st Annual SCAD Savannah Film Festival. Don’t Be Nice and Fevah were both honored at the Third Annual Adirondack Film Festival in Glens Falls, New York. Don’t Be Nice’s Director Max Powers has won the Jim Ewing Young Director Award at the 19th Annual Port Townsend Film Festival in Washington! Today's Variety Magazine reports that Don't Be Nice will have its New York Premiere at the 22nd Annual Urbanworld Film Festival. Don't Be Nice was featured on CBS affiliate 13WMAZ as part of their coverage of the 13th Annual Macon Film Festival in Macon, Georgia. 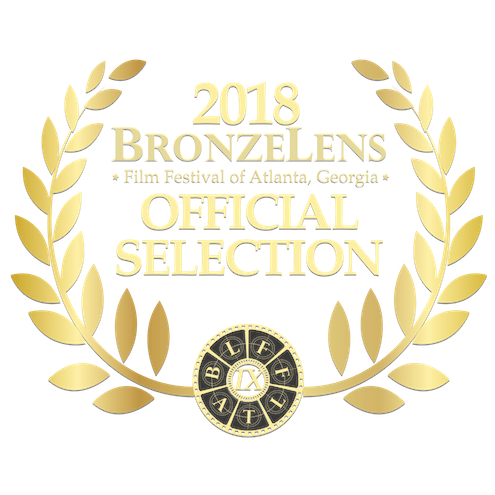 Don't Be Nice has been Nominated for Best Documentary at the 2018 BronzeLens Film Festival of Atlanta. "FANTASTIC Documentary! It educates, inspires, and shows us that we’re all in this sometimes crazy world, together." "EVERYONE SHOULD SEE THIS. It is funny. It is beautiful. It is in your face in the best way. It is necessary." Morning screening at the historic @marypickfordtheatre for #psfilmfest! Poetry fans in #Calgary—#DONTBENICE is having its Alberta Premiere 7pm Nov. 30th. in @calgaryundergroundfilm’s #CUFFdocs18 at the @globecinema_yyc. The screening is co-sponsored by @slamcalgary and features a live performance by @zaire_sealey.